Attending parties in Nigeria, especially weddings can be quite expensive. Everyone wants to stand out at these events and generally go overboard spending on unnecessary things. Being a wedding guest can be rough on one’s bank account especially with the increasing cost of aso-ebi fabric. From the cost of makeup, shoes, and accessories, attending weddings these days will probably put a huge dent in your wallet. Which is why we are making this post for all our ladies living life on a budget. Not everyone has the coins to splurge on a owambe parties. Here are 5 tips on how to slay if you’re a wedding guest on a budget. Wear what you have: Granted that not everyone is brave enough to try this but it works. After spending so much on aso-ebi lace, you shouldn’t put them at the bottom of your wardrobe. See those expensive fabrics as an investment for future events, if you already have an existing dress matching the colour palette of an upcoming owambe, why not dust off the fabric, slay and save you coins, more importantly, if you cannot afford it. Keep your style simple but trendy: We all love to look snatched and on fleek at an owambe, however, you should stay in your financial lane if you don’t have soul-snatching money. Although dramatic wedding guest outfits cost a fortune to make, it is possible to slay in a simple, yet stylish outfit. From jumpsuits to off-shoulder dresses, there are a variety of classy, yet affordable designs to choose from. Learn to do your own make up and tie your own gele: With scores of tutorials on the internet, there is something for everyone out there. 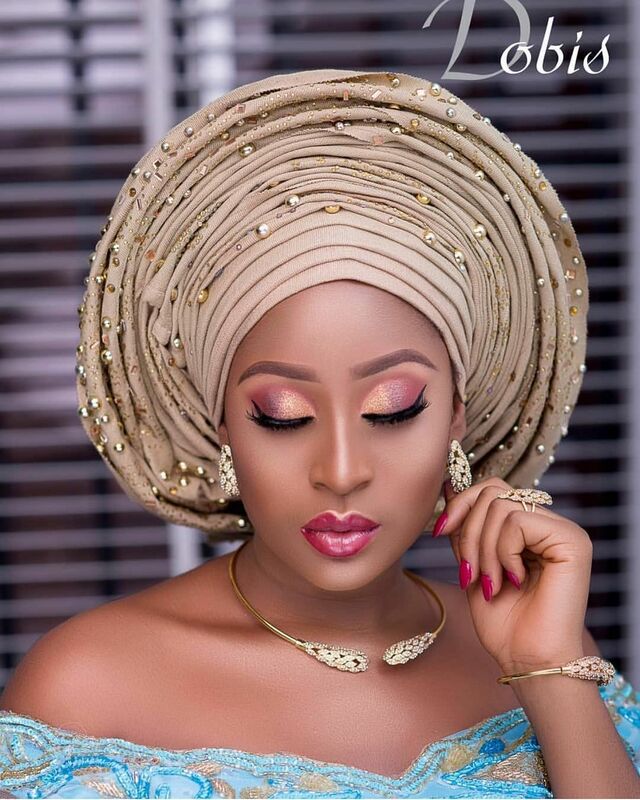 Granted that makeup and gele can be tricky, Youtube bloggers use this opportunity to make easy videos for beginners where you can learn how to do your makeup and tie your gele yourself. To make things easy for you is why we always have tons and tons of DIYs for you on our site. Recycle your accessories: It goes without saying that you shouldn’t have to buy new accessories for every event. To finesse this, it is imperative to invest in neutral-toned shoes and purses; gold, black, and silver, for emphasis. You can never go wrong with any of these accessories as they match almost any colour tone. Not every time gele or weave, turban it up: Aside accessories, you don’t need to have to fix a brand new hairstyle for every owambe party. Moreover, tying a gele is not the only way to cover up your hair. Turbans are on trend, totally affordable and also suitable for wedding guest outfits.